A small fraction of patients drive the vast majority of health care spending. That’s why many primary care practices have started using tools to identify adults most at risk of ending up in the hospital or emergency department, so they can focus on helping these patients before they need acute care. Now, Common Ground Health is working with a California group to develop a similar risk stratification tool for children in primary care. We are looking for pediatric and family practices to help test the new evaluation approach. 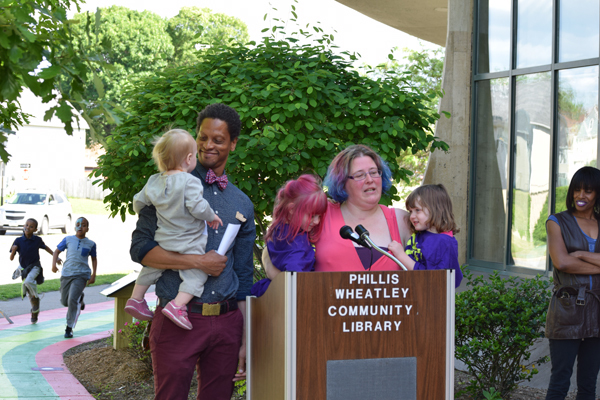 Even though her children got covered in paint in the process, Heather Feinman said they loved helping create the new “Story Walk” at Phillis Wheatley Community Library. 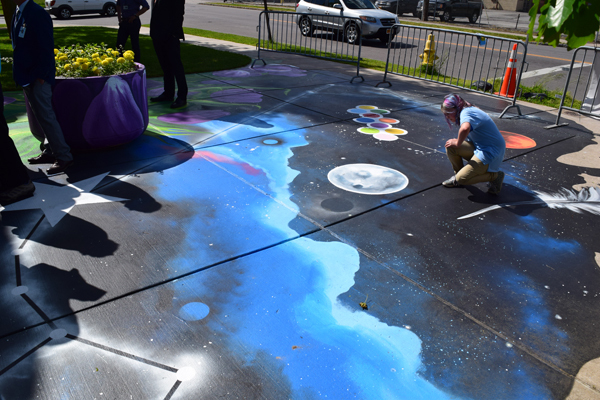 “I’m thrilled that my children and I were able to help paint the sidewalks and help bring the Story Walk to life,” said Feinman, School 2 PTO president. Melding art, history and literacy, the Story Walk is part of Healthi Kids’ “Play ROCs” campaign to create safer, more accessible play spaces. “The project could not have been completed without the support of the community,” said Dina Faticone, Healthi Kids’ director. Many thanks to the Finger Lakes Area Counseling and Recovery Agency for their backbone support of the 2017 Housing Summit. Sponsored by the Finger Lakes Housing Consortium, the July 14 event in Geneva features state and local leaders from organizations involved in housing and health and a keynote address by Dr. Leonard Brock, director of the Rochester–Monroe Anti-Poverty Initiative. Rediscover the "Joy of Practice" during an interactive learning collaborative on team-based care and the joy of practice with Dr. Kirsten Meisinger, TCPI National Faculty. The session will be from 12:00 - 4:30 p.m. Sept. 8 at the Rochester Academy of Medicine. Register here. Daily Messenger Naples forum raises question: Is healthcare a human right?